Glad tidings always occur each week, and among those are the birthdays of our members, such as those of KerriganSaila and Bukk. But that was only the start of the birthday celebrations this week as Zerbu enjoyed some birthday cake, as did Guispfilho the very next day. After that, Bolt had a cake to himself. However, omar1ofg, DrHouse93, Naky and Derjyn all had cake to share. And this Sunday, we had a birthday celebration as reiji1337 had a nice cake to mucn upon. Ever popular is our thread that asks our members just What's on your mind, and DerVVulfman noticed that spammers have attempted to intrude at Creation Asylum with seventeen threads, each one promising counterfeit IDs. This while Save-Point's countermeasures stopped a dozen on its own. Malignancy continued as KDC ran afoul of someone stealing his Debit Card information. So now he had to quickly process the dispute paperwork and get a new card. Fortunately, family was there to help. At the same time, kyonides reported that the Costa Rican Chancellery's official website suffered a cyberattack, so phony passports may be floating about. After that, discussion went towards Conan the Barbarian and his creator, Robert E. Howard, as kyonides and DerVVulfman relayed information about the use of Lovecraft's work and Police Procedurals in the 1930's artists writings. TsunamiJurai loves comedy if asked her "What are YouTubing? ", discovering a couple of funny videos putting Putin in a funny light. Following the knowledge that Facebook was down for a while, DerVVulfman had his own theories about how the internet giant may end up. Kyonides found a live concert that wasn't fully live. And Bounty Hunter Lani found a new video by one of her favorite online comic guitar personas. KDC is enjoying The PS4's Remote Play so he can control his Playstation 4 console from his computer and other peripherals. While you may think that kyonides is the forum's lazy scripter, you can always ask What's up, RMers and learn he's still scripting.It is his best strength, his least being map design and eventing; that having been uncovered after Steel Beast 6Beets inquired about his other strengths in game making. DerVVulfman suggested that the entire basis for the rpgmaker engine, or most game design engines, revolve around the player's interaction with events, though kyonides would wish to somehow eliminate the need of events in general. Insofar as any plot that kyonides has, it appears to revolve around aluxes being an idiot. This is something that Steel Beast 6Beets likewise acknowledges as the main RTP hero has been relentlessly represented as a moron. Steel Beast 6Beets, for his game, delved into riddles. And presented one such riddle which was very difficult to solve. With advice from DerVVulfman, the riddle may come with an extra hint. But DerVVulfman later suggested that the player may be able to bypass solving the riddle if the game allowed a choice of a riddle or a difficult task. 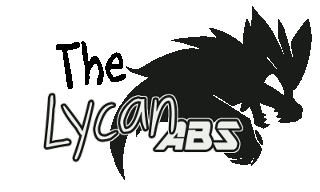 After that, DerVVulfman went on about the development of the Stance or Skill-Delay system he's adding into the Lycan ABS, now allowing the stance animations to properly loop until the action is performed and for as long as it is defined. And now returned is Son_Rukiri, returned that he can now use his PC once more. Entering into the discussion on RGSS scripting dissections and explinations, Son_Rukiri requested some help on a math formula. DerVVulfman replied that the thread itself was meant for beginniers, but supplied Son_Rukiri with nearly-corrected Ruby syntax and a replacement formula, correction given thanks to assistance by kyonides. But it wasn't the syntax on the statements itself that Son_Rukiri needed, but how to make the system determine character direction. For those who were waiting, kyonides has now released the RPGMaker VXAce version of KRumors. And he does remind Ace users to grab the proper versions instead of their XP Counterparts. Now that his PC is ready, Son_Rukiri has returned to work on his RPG Characterset Template/Highlight], showing it off now that it has angled lighting. DerVVulfman noticed the difference in lighting as compared to other template styles. And Son_Rukiri replied back about the choice of lighting and that his character clothing options would too have this distinction. Welcome to the second chapter of kyonides's latest story, [Highlight]Some Unknown Gamer's Nightmare where a gamer had suddenly found himself thrown into the fictional world of an enterbrain RPGMaker game. Now stuck with Aluxes himself, the second chapter finds the unlikely duo bargaining with a spectre to help the gamer find a way home.